Abstract. 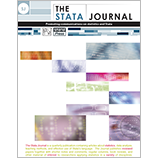 While Stata’s computational capabilities have intensively increased over the last decade, the quality of its default graphic schemes is still a matter of debate among users. Some of the arguments speaking against Stata’s default graphic design are subject to individual taste but others are not, for example, horizontal labeling, unnecessary background tinting, missing gridlines, and oversized markers. In this article, I present two new graphic schemes, plotplain and plottig, that attempt to address these concerns. These schemes provide users a set of 21 colors, of which 7 colors are distinguishable for people suffering from color blindness. I also give an introduction on how users can program their own graphic schemes.